Flexible Engineer Grade 1" x 150' rolls can be used to mark fences, gates, bollards, gate arms, floors, loading dock areas, poles, bollards, trailers, police cars and emergency vehicles, snow poles, dumpsters, etc... This material is rated as a Type 1 ASTM D4956 material that exceeds all federal and state requirements. It is outdoor rated at 7 years. 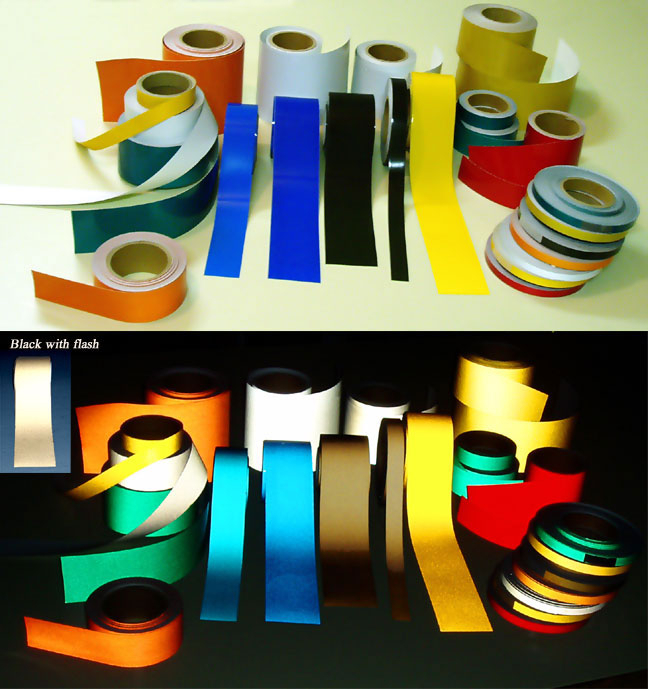 Flexible engineer grade reflective tape is thin and flexible and will stretch to conform over difficult areas. One of its unique features is its ability to wrap around small diameters like snow poles or golf flag poles. Very few reflective tapes will wrap this tightly without lifting. To apply this tape simply cut off the amount you need, peel the paper backing off the tape and apply to a smooth, clean surface. 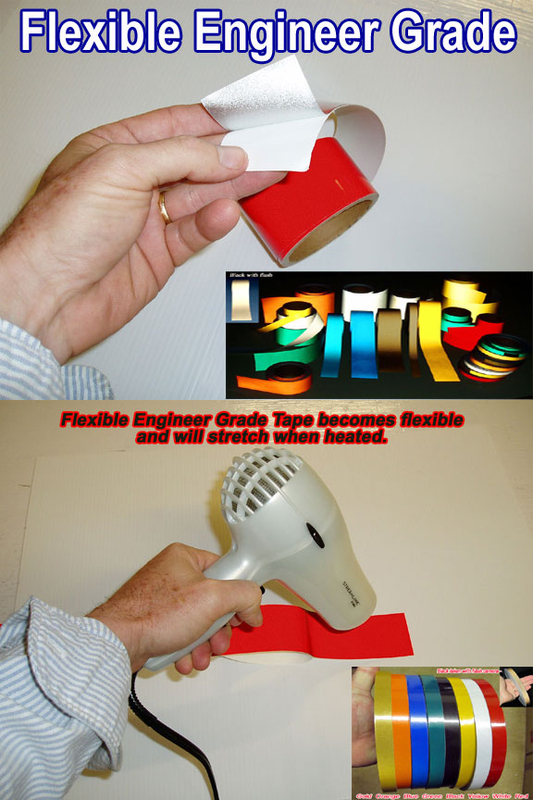 Flexible engineer grade tape differs from standard engineer grade tape in that it will stretch and conform to uneven surfaces when warmed. When applied in temperatures below 78 degrees it performs just like standard engineer grade. 1 inch x 150 foot rolls run $49.99 each. Our colors are pictured below. You can make your quantity and color choices by using the menus below.